Winter driving can bring a range of unexpected dangers. Take a look at some winter driving tips on how to stay safe when driving in the big freeze. Make sure you have an emergency bag ready. Kit it out with emergency food and water, warm clothing and a first aid kit. 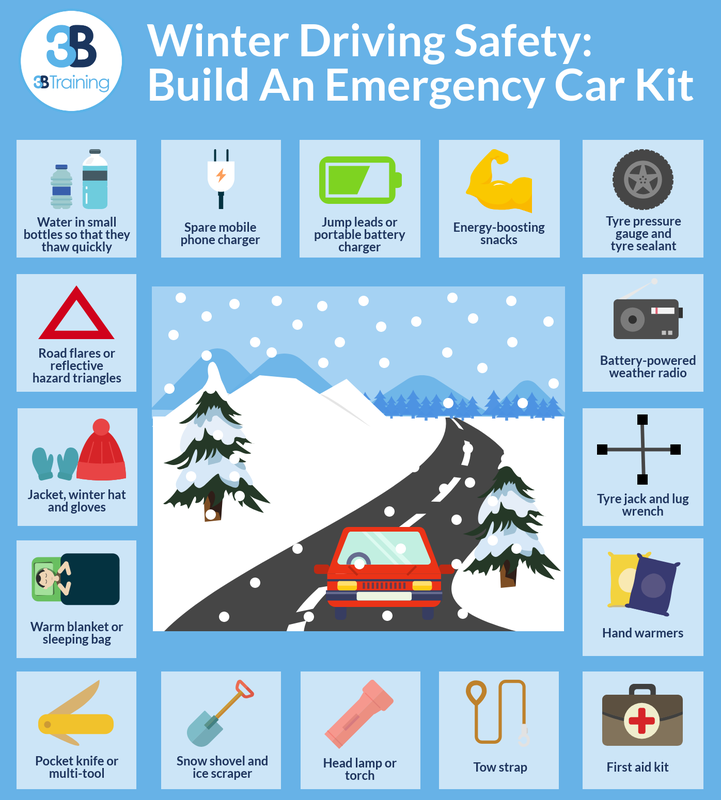 You should also keep in mind essentials that will help your car in an emergency. A tow strap, jump leads and a shovel are all, key in an emergency. Do you have suitable tyres with a good grip on potentially slippery conditions? If not, why not get winter tyres? Check over your tyre pressure and keep a tyre chain in your boot if you are driving in an area prone to deep snow. Do you have plenty of fuel for your journey? To ensure you don’t get stranded in harsh conditions, keep your fuel tank above half way. Plan your journey around the weather, avoid driving out in potentially dangerous conditions if you can help it. Also whilst you are driving, regularly check weather updates so that you can make a detour if need be. Pay attention when winter driving. Never drive tired, take regular breaks and pay extra attention to what’s around you. When driving in wet slippery conditions your stopping distance is considerably decreased. Snow, rain and hail can also cause poor visibility so keep that in mind when driving. Keep calm when driving on slippery roads. Frantically driving whilst spinning or skidding can cause things to get much worse. If the weather is much worse than anticipated, be smart and end your journey. If you are too far from home, find a local hotel to stay until the weather improves. Take a look at our blog on how to stay safe around frozen lakes and ice here.